James Lyon came to Penn State in 1991 from a career as a professional orchestral performer and chamber musician. Since his appointment, the violin studio has grown to become one of the strongest in the state, attracting a stimulating mixture of music education and performance majors from the United States, Brazil, Venezuela, China, and South Korea. His students have won numerous prizes in solo competitions at the local, regional, and state level and play professionally in such orchestras as the Atlanta Symphony and the Rochester Philharmonic. Educated at the North Carolina School of the Arts, the Eastman School of Music, West Texas State University, and the Yale Summer School of Music, Prof. Lyon has studied with many of the top musicians of our time, including Charles Castleman and Elaine Richey, as well as members of the Cleveland, Tokyo, and Fine Arts Quartets. He has performed as a member of the Louisville Orchestra, the Rochester Philharmonic, and the Santa Fe Opera Orchestra, and has served as concertmaster of the symphony orchestras of Amarillo (TX) and Altoona (PA). He is currently concertmaster of the Pennsylvania Centre Chamber Orchestra. An active chamber musician, Professor Lyon maintains an international performing career as violinist with the Castalia Trio and Duo Concertant. Tours with these ensembles have taken him to much of Asia and western Europe in recent years. He also performs regularly with the Lyon Family Chamber Ensemble, with a performance at St. Patrick's Cathedral in New York and an extensive performance tour of Australia in 2002. Prior to his appointment at Penn State, Professor Lyon performed with the Harrington String Quartet, 1996 Grand Prize Winners of the Fischoff National Chamber Music Competition. As a member of this ensemble he collaborated in performance with members of the Tokyo Quartet, the Lincoln Center Chamber Players, and violist Walter Trampler. As a chamber musician, Professor Lyon has been heard on live national radio broadcasts from Los Angeles, Chicago, and New York City. Professor Lyon is in demand as a violin soloist and has performed concerti in numerous locations ranging from Amman, Jordan, where his appearance with the National Conservatory Orchestra was attended by Queen Noor, to Venice, Italy where he was a featured soloist on a concert that included Montserrat Caballe. As a recitalist he has performed in venues ranging from Carnegie Hall's Weill Recital Hall to the recording studios of Radio 4 in Hong Kong. In 1999 Professor Lyon was recognized by the Pennsylvania/Delaware String Teacher's Association as Collegiate Teacher of the Year for his consistent dedication to teaching at the highest level. He has served as President of PADESTA and has also served twice as Chairman of its state solo competition. 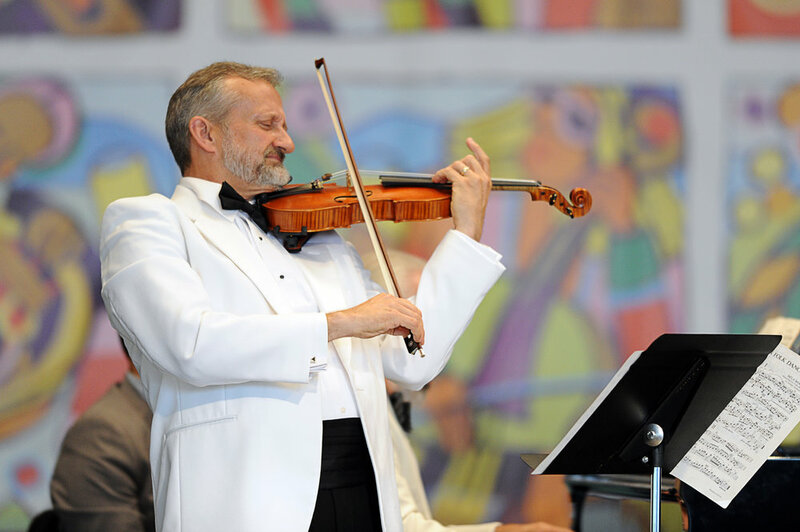 In addition to his position of Professor of Music at Penn State, Mr. Lyon has taught violin and chamber music for over a decade at The Quartet Program, a summer program hailed by violinist Itzhak Perlman as "the best of its kind." He has also taught in Siena, Italy at the Sessione Senese per La Musica e L'Arte.